As mentioned in an earlier post, I spotted my first BroodV cicadas in Warrensville Heights, Ohio (and entered the cicada observations into inaturalist). 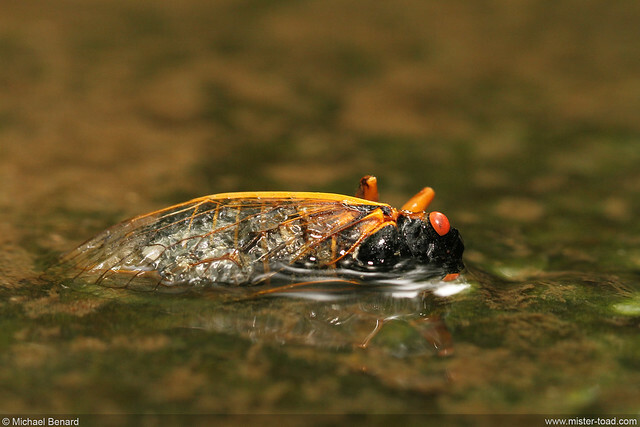 Using a helpful website on periodical cicadas, I was able to ID the Warrensville Heights cicadas as Magicicada septendecim, based on the thick orange bands on their abdomen and the orange color on their thorax behind the eye. Although this was pretty exciting, we only saw two living cicadas plus one cicada wing. 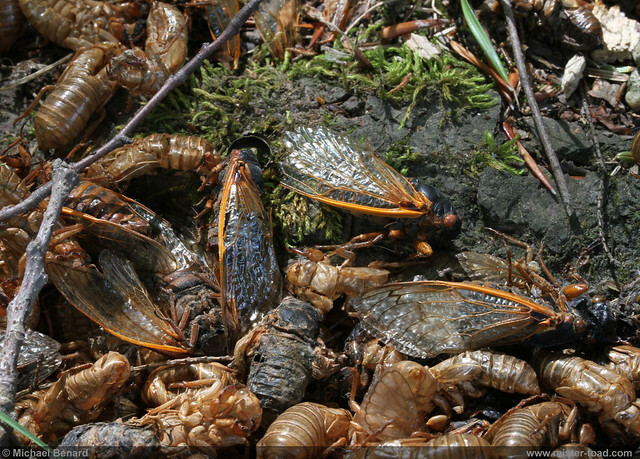 In other areas, there were huge piles of dead cicadas mixed with cicada exuviae. 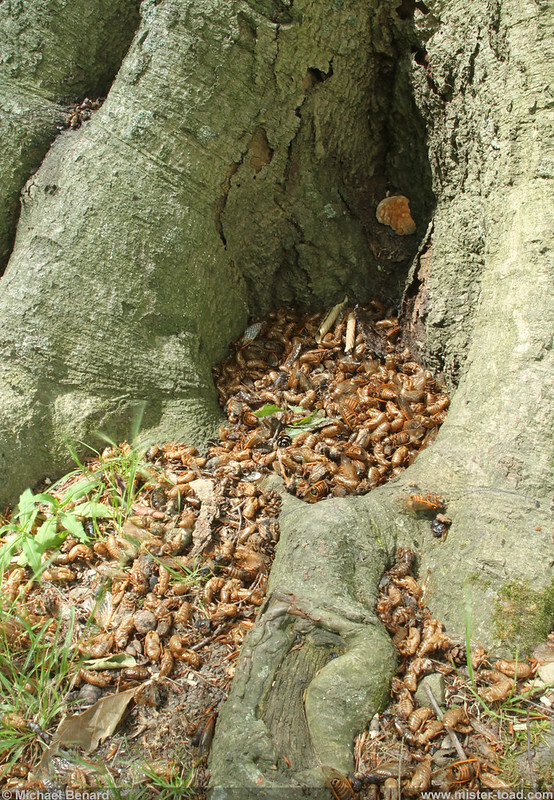 Not only can the huge numbers of cicadas provide a boost of food for forest animals, but the dead cicadas also fertilize forest plants. Beyond the enormous piles of cicada bodies, I was most struck by how many cicadas were continuing the crawl and fly while missing big parts of their bodies (like their abdomen!). 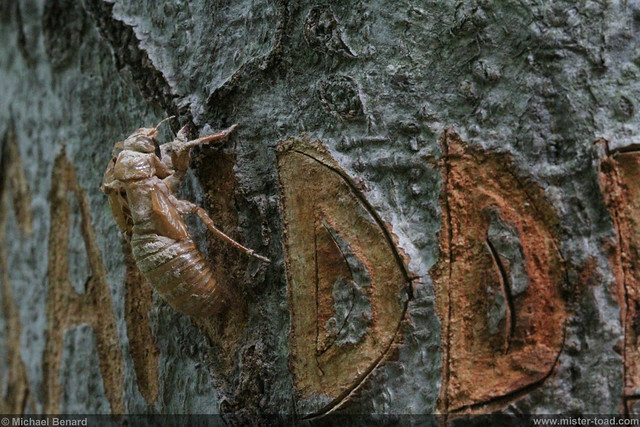 The two videos below show some of this “zombie cicada” behavior. I shared this with a colleague who is an entomologist & neurobiologist. He remarked that the “zombie” behavior emphasizes just how neurologically different insects are from people and other mammals. A still-living Brood V cicada crawling on the ground as a yellowjacket wasp eats it. 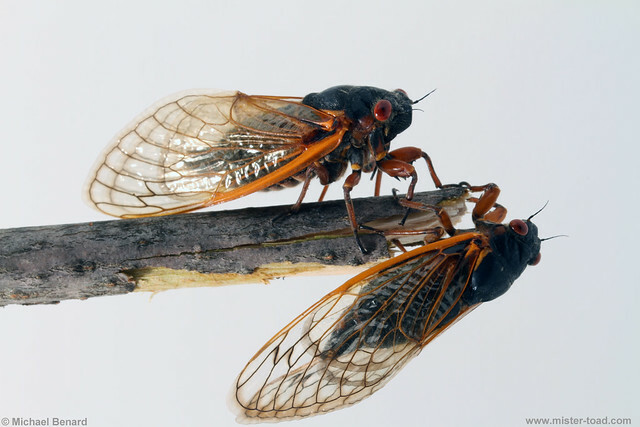 This entry was posted in Natural History, Video and tagged cicada, Invertebrate, video. Bookmark the permalink.